GUARANTEED END TO END SOLUTIONS FOR ALL YOUR COMMUNICATIONS NEEDS WHILE YOU ARE ON THE JOB. While you're at it, sign up for the Apollo Newsletter to receive exclusive sales, promotions, and updates. #1 Resource for all your Forestry Satellite Phone needs. Discounted phone & airtime rates for the forestry industry on reliable, high-performance solutions for management of people and equipment, lone worker safety and remote communications. *Deals So Good, They Are Not Available Online! The handsets we carry made by the world's top manufacturers and are perfect for Forestry Communications. The Iridium Extreme is one of the best satellite phones on the planet to ever hit the market. 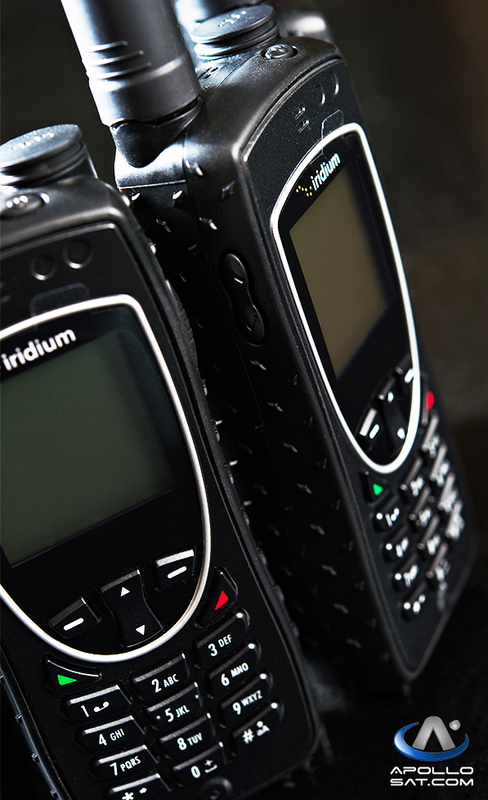 As far as Iridium satellite phones go, it is built with the same reliable voice and data from the world's only truly global satellite network; Iridium. But the Iridium Extreme doesn't stop there, accessorizing your device has never been easier with so many choices to choose from to complete any communication solution that you need it for. External battery chargers, global satellite Internet options, external antennas, a number of portable docking stations, and also many third party applications give your Iridium Extreme the ability to finish up your setup. A major feature this Iridium satellite phone has brought to clients is a customizable SOS button which gives people the ability to get help literally at the push of a button. If you need help simply push it and the Iridium Extreme will alert your programmed contact with lifesaving information like your location and assistance in creating a two-way connection to assist in the response. It is also engineered right into the rugged build of the device so no matter how extreme the conditions are you can easily get a message out for help. It includes GPS-enabled SOS with emergency services supported by GEOS Travel Safety Group Limited, at no additional charge. The small form factor of the Iridium 9555 are one of the many perks that keep sat phone sales up. Along with everything else built into the 9555 satellite phone, the price always puts it in the same class as some discount satellite phones since there always looks like there is an Iridium 9555 sale going on. But all that aside. the Iridium 9555's small form factor really makes it easy to take wherever you need to. Don't let the size of it fool you, though. 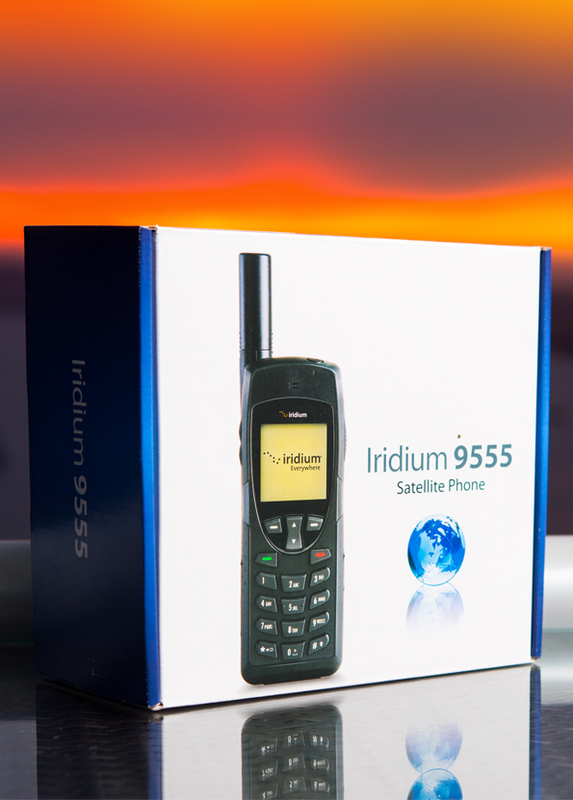 It is just as powerful as any other Iridium satellite phone on the market. Along with the size and power of the 9555 it also boasts a sleek design which makes it a favorite of clients! Going on a vacation? Not a problem! The 9555 satellite phone will literally fit easily into most any part of your luggage leaving you with plenty of room for the stuff that really matters to you on your vacation. A lot of people love to take their house with them when they travel. If this is the case then the 9555 satellite phone is practically a must. It will fit where you need it and you will have a ton of space for everything else! Do you love taking hikes off the grid? Then the 9555 is the perfect choice. It will fit in with your gear like a glove and you can be sure to stay connected when you need it most. Even if you enjoy taking extra gear on your hikes you don't have to worry about your lifeline back to people not fitting anywhere with your stuff. If it's one thing that clients need other than an Iridium phone sale, sat phone Internet, or portable satellite phones it is ruggedness in their Iridium device and the 9555 was engineered with this particular feature in mind. Imagine being out and about off the grid right at the beginning of your hike and while checking your gear your sat phone falls out on the ground and breaks. Now, do you continue on without your connection to the modern world and possibly lifesaver? Most people would probably continue on anyways. Why not plan for this contingency and pick up a rugged device in the first place? This solves the issue before an accident even happens. Let's just face it, accidents happen no matter what! This is one reason to have a satellite phone in the first place. But if you do not have the proper equipment that is engineered for what you are taking it through then you are simply wasting your time and money. With the 9555 satellite phone you do not have to worry at all. You can drop it and most likely pick it right back up and make a call with it without issues. All this in conjunction with the fact that it has a long list of Iridium accessories like the Iridium 9555 antenna and plenty of portable docks to choose from this portable but powerful satellite phone might be your one and only device you need to complete your global communication solution. An issue that seems to come up a lot with clients is satellite Internet on the go. They want an Iridium satellite phone to keep in touch and stay safe but they also need the Internet while off the grid for work or even just for leisure so they can send emails to friends. This is where Iridium 9555 data comes in! Granted, you will not be streaming videos or doing much with feature-rich multimedia websites but you can get on the Internet to complete some simple tasks which a lot of the time is what clients really need. Take this scenario into perspective. You are out on a month long trip off the grid and you use your laptop to complete some daily tasks that need taking care of. All the while you are using your Iridium 9555 satellite phone to keep in touch with home. There is a much easier way to do this other than using your sat phone keypad on your 9555. Simply plug in your Iridium 9555 data cable and connect to the Internet and use your laptop as your medium for sending your texts; effectively utilizing Iridium 9555 data for convenience. That's right! You can easily just plug in your satellite phone to your laptop and send messages via the Internet just like you would at home or from the office. Satellite Internet on the go couldn't be much easier than that! Another issue could be that your job requires you having the ability to keep in touch with people over email and you (or your company) do not want to drop money on another device. Again, in comes the 9555 features! It's so easy to use and can simply get you going on the net to send emails from wherever your computer or laptop is located. Wouldn't life be much easier if things were made simpler? This is where clients of global communications find themselves sometimes. It's bad enough for some people that the Internet is literally at the center of everything that is done these days, now even phones seem like they are made so only a tech can run them. This ends with the 9555 satellite phone! When Iridium engineered the Iridium 9555 they kept the fact in mind that people need their devices to simply use and not to spend way too much time just figuring out how the thing works! Besides, if you are using it off the grid and an emergency happens are you really going to be in your right mind to dig out the manual? Probably not. This and an uncountable number of reasons curtail to the reasoning behind such a simple device like the Iridium 9555 satellite phone. Even the user interface is made intuitive bringing simplicity and also efficiency right to your fingertips. With the Iridium 9555 the term "learning curve" is made obsolete. Iridium's goal was to give people the ability to make calls right out of the box which isn't seen very often within the world of global communications. So if you aren't as tech savvy as some other people and want a satellite phone that will just work for you without too much of a hassle then the 9555 satellite phone is for you! If you need truly global push-to-talk service even when you are on foot away from your vehicle than the PTT Iridium Service is just for you! They have taken their flagship handset (the Iridium Extreme) and made it push-to-talk enabled which brings a service to the global communications market that only Iridium could bring. With the Iridium Extreme being PTT enabled you can expect the same top notch functionality and feature rich handset from the Extreme just with the convenience of push-to-talk. Unlike previous PTT satellite systems that are limited to use in or around vehicles, the PTT is a completely mobile satellite handset that provides flexibility to support every communications environment. Versatile accessories including shoulder-mounted carrying cases, docking stations, and external antennas (sold separately) ensure critical communications can be maintained in any situation - on foot, in-vehicle, ship or aircraft or inside buildings. With the flexibility of the Iridium Extreme PTT, staying connected has never been so easy! The service packages below have been customized to fit the needs of the Forestry Industry. *With purchase of new phone and service package, you will receive a Free Pelican 1200 Protective Case. When you need lightweight, compact, quick-deploy, reliable and fast communication in remote areas, turn to EXPLORER for all your voice and data needs. 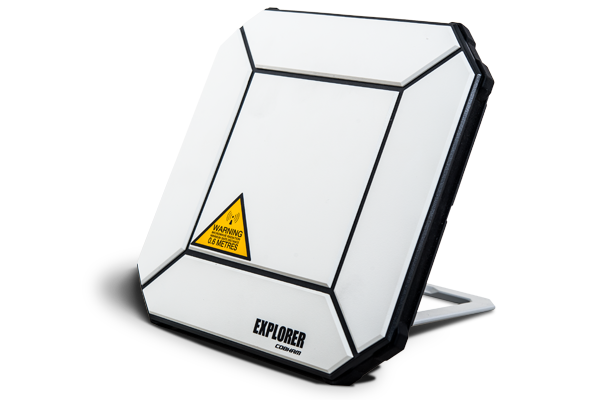 EXPLORER BGAN is a series of L-band satellite terminals utilizing the BGAN network from Inmarsat. An EXPLORER BGAN terminal offers a broadband connection and telephony service from anywhere in the world. Lone workers, particularly in remote areas, face heightened safety and communications challenges. Iridium solutions help to mitigate risk and respond quickly to any situation with location-based services, safety alerting, man-down systems and low-latency, two-way communications capabilities. Powerful, easy-to-use, reliable Docking Station and Fixed Terminals for the Iridium Network. Premier Docking Stations providing simplicity and reliability for all Iridium Satellite phones: 9505A, 9555, Iridium 9575 and the new Iridium Push-to-talk (PTT) 9575. Antenna solutions from close distance to far.